Welcome to my first batch of results from my SPFBO books, Phase 1. If you’re confused why I’m here posting about this, you might want to check out this post. But, to sum up, I was given 15 books towards the end of September to read by December, with the goal to pick one to push forward to the next round. I promised to read at least 50 pages of each book. Every book gets at least a mini review, with any books read to completion receiving a full review. I planned to read five books a month, with my schedule of which books are being read when posted at the linked post above. Out of each of those batches, I’ll push one book forward, making it so I’ll have three semi-finalists to decide between as my finalist (which, after The Alliterates selects their finalist from their fifteen books, we’ll read each others and decide which one to push forward into Phase 2). Now, I know I said I wasn’t going to post any cuts or results until December, spending a week doing just that. But, I just couldn’t resist, so I’m posting my October results early (I don’t think you mind too much ;))! For October, I had four books I DNF, stopping roughly at my promised 50 page mark for three of them and then reading a little bit more of the other, before I finally stopped. My semi-finalist, I read in it’s entirety in two sittings. Finally, please remember that every opinion is subjective. A book I might not have liked down below might be someone else’s new favorite. The reasons I didn’t like a book could be the reason you love it. I could not like a book or get turned off for something as simple as an author’s writing style or being in a foul mood on the day I read it. It seems unfair, perhaps, but that’s just how reading works, I’m sorry to say (and authors who I cut, I’ve been close in the querying trenches and only ever felt the dagger; I feel your pain!). And, in the attempt to keep this post as short as possible (as it’s already a mammoth), my feedback within my reviews have the potential to be read as “bitchy” in tone or seen as “short,” even though that is never my intention (plus, it’s hard to read tone, sometimes). In the end, no one enjoys cutting books. But it is a contest and there can be only one. Blurb: Antisocial tailor Lucylis Sontire’s beloved pet is run over in the street one day by a brutish mine-lord. As he grieves, a strange sorcerer befriends him and they go on a romp through the neighborhood in a quest to create dark magical creatures, but are constantly stymied by the baker’s cat. Really descriptive and pays attention to almost every detail. Such a unique and intensive vocabulary, as well. While I found the writing style in that way to be refreshing (as I’m a sucker for detail), it did cause the beginning to start off a little slow and detract from helping me figure out exactly what is meant to be going on in the story. Also, almost every other word was italicized in the dialogue and while that shouldn’t be that bothersome, it was distracting for me, as it made the function lose it’s purpose/meaning. It has violence against animals, which I’m not a huge fan of personally early on, and it was a bit hard for me to shake that one, because I didn’t see the point in said violence? But more than that, I think it was just the fact that I couldn’t figure out what was going on and Lucylis, who I believe is our main character, seems to not only contradict himself with his choice of (in)action between scenes, but also doesn’t seem to have much agency. As such, I read to the promised 50 pages and then stopped there. Blurb: Magic was their best defense…until it betrayed them. Robin is a noble, traveling through a neighboring kingdom to discover why their family vineyard is at risk of being confiscated. Jamie is a commoner, fighting the king’s men as they try to push people off their lands. When the two meet in the forest, they have no idea they’re about to join a battle that began 800 years ago. 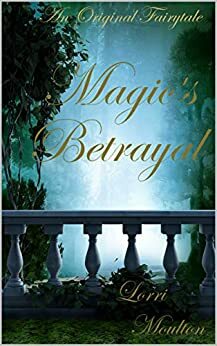 As they find out more about the threat to both their kingdoms, they soon realize that the myths and magical stories they heard as children are true. Not only is magic real, but it’s fought this battle once before…and betrayed them all. Will it happen again? Though this story does seem intriguing, the writing itself wasn’t for me. It felt very outside looking in or surface level, when I wanted to go within the scenes and get to know the characters on a deeper level. Instead, I felt like an outsider watching events as they happened, without a chance to get truly invested. The prologue, while I did really enjoy the tone it set, hinting at danger and the return of war, felt unnecessary. Similarly, the first chapter ended on an ominous note, but it was a little overbearing in the way it was presented. I also felt it was a bit unnatural, in the way characters introduced themselves to one another, the choices they made, how they spoke…And the transitions were forced instead of natural, with paragraph breaks saying “Three hours later” instead of having that knowledge naturally presented to us, which interrupted the flow of the narrative. It felt pretty obvious I was reading a story, instead of becoming immersed into the story and I didn’t understand the characters or their motives/personalities. I do think this writer shows a lot of promise and creativity, so keep her on your radar, but it just wasn’t for me. 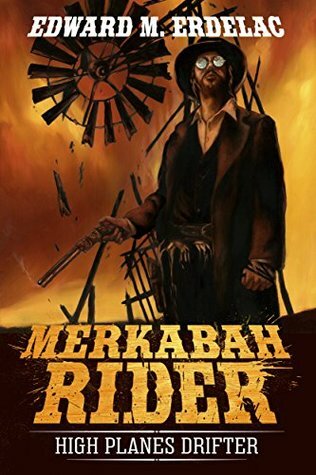 Blurb: A Hasidic gunslinger tracks the renegade teacher who betrayed his mystic Jewish order of astral travelers across the demon haunted American Southwest of 1879. In THE BLOOD LIBEL, The Rider fights to save the last survivors of a frontier Jewish settlement not only from a maddened lynch mob, but from a cult of Molech worshippers hiding in their midst. In THE DUST DEVILS, a border town is held hostage by a band of outlaws in league with a powerful Vodoun sorcerer. In HELL’S HIRED GUN, The Rider faces an ex-Confederate sharpshooter who has pledged his allegiance to Hell itself. In THE NIGHTJAR WOMEN, The Rider drifts into a town where children cannot be born. Here an antediluvian being holds the secret to his fugitive master’s insidious plan; a plot that threatens all of Creation. Finally, never before collected, THE SHOMER EXPRESS. On a midnight train crossing the desert, a corpse turns up desecrated. Someone stalking the cars has assumed its shape, and only The Rider can stop it. What an interesting read Merkabah Rider was. There were some minor things that bothered me throughout that didn’t count against the book, necessarily, but I couldn’t help noticing them, regardless: the way dialogue is formatted sometimes (using the semicolon and entering the dialogue onto the next line) and how quick the transitions between POVs were, alongside some missing quotation marks or misused commas every once in a while. Overall, though, the writing was really strong and the pacing really well done, constantly moving the story forward. And though I would have preferred POVs broken up with a little more clarity (say, for example, chapter breaks like many fantasy books do*), I did like how we saw a wide range of perspectives in such a short amount of time, all offering different glimpses into this world and how people live within it, so I thought that was cleverly done. It helped do a lot of worldbuilding in a short amount of time. 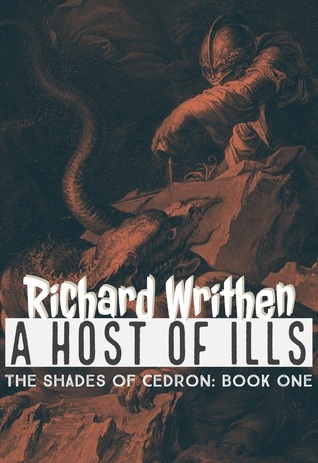 Being a fantasy western with heavy religious influences, I’m not sure this book connects with me on a full level, simply because I don’t read a ton of westerns and I feel that a lot of the religious references were over my head (not being Jewish). However, I still wanted to finish at least the first story, because I was intrigued by what was happening and wanted to know what happened next. I think, if you do enjoy westerns or are a fan of stories with heavy religious influences, then you really should check out this book, because the story is intriguing and it has every feel of a western (says the girl who doesn’t read them, but bear with me on this). Unfortunately, it didn’t resonate with me fully, thanks to my subjective and personal tastes, which is the only reason I’m cutting it from this contest (though I might return and finish it one day, because I did really enjoy reading it). *which, I realize, in this case, since there are no chapters, Merkabah Rider being a book of five short novellas, isn’t an option, that’s just the most common example I thought of. Blurb: A deformed genius plots vengeance while struggling to survive. A wastrel prince comes of age, finding a power he never imagined. Two worlds are destined to collide. Only one can be king. Ruka, called a demon at birth, is a genius. Born malformed and ugly into the snow-covered wasteland of the Ascom, he was spared from death by his mother’s love. Now he is an outcast, consumed with hate for those who’ve wronged him. But to take his vengeance, he must first survive. Across a vast sea in the white-sand island paradise of Sri Kon, Kale is fourth and youngest son of the Sorcerer King. And at sixteen, Kale is a disappointment. As the first prince ever forced to serve with low-born marines, Kale must prove himself and become a man, or else lose all chance of a worthy future, and any hope to win the love of his life. Though they do not know it, both boys are on the cusp of discovery. Their worlds and lives are destined for greatness, or ruin. 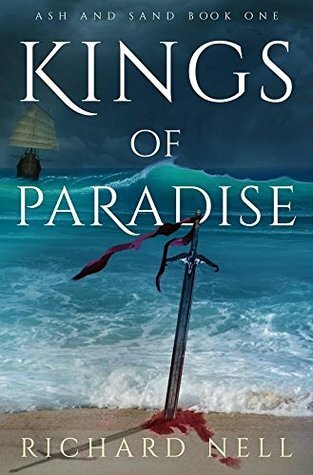 But in a changing world where ash meets paradise, only one man can be king… The first installment of an epic, low- fantasy trilogy. Kings of Paradise is a dark, bloody, coming-of-age story shaped by culture, politics, and magic. I think this book has the unfortunate instance of just being read at the wrong time by yours truly. Based off all the positive reviews I glimpsed at beforehand and the blurb, I thought this low epic fantasy was going to be right up my alley and a heavy contender, within this first batch. And don’t get me wrong: this is a good book. It’s very well written, with multiple POVs, each paired with an interesting premise and I’m very curious on how they all tie in together. I think it was the pacing that got me. I felt it started off a little slow and I kept waiting for myself to become truly invested in these characters, yet even reading almost 200 pages (on an ereader software, which I normally don’t read on, so I don’t *think* this book is actually as long as the page number above claims), I still wasn’t really emotionally invested. I think, if I wasn’t reading this online and judging it for a contest, and instead had a paperback version and sat down to read it at my leisure, I’d probably would have finished it. I still might buy a copy and finish it, after it’s all said and done. But at the moment, I just wanted to become invested a little sooner and, since I’m on a tight deadline, I’m have to go ahead and cut this one. I won’t give away my full review of this one just yet (and each of my semi-finalists will get a full review, as I will definitely have read them fully), but this urban fantasy, even though I wasn’t sure about it at the beginning, hooked me in pretty quickly and had me reading the entire thing in two sittings, wetting my taste to dive into another good urban fantasy (as I haven’t been reading much of that genre, lately, even though it’s one of my favorites). I’m not sure when exactly I’ll post my full review for this novel, but I definitely will before December! 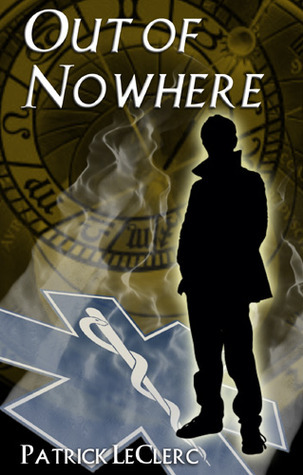 Congrats to Patrick and his novel for becoming the first of three novels to match it into my semi-finalist batch! To the other four authors, please remember how subjective readers are. I’m sorry to have cut your books this time, but don’t ever let “not winning” in a contest deter you from following your passion for writing. Because if you continue to write stories that you love, then you’ve already won. And that’s a wrap for my first five books! Refer back to my announcement post to check out the next five I’ll be reading in November and look for another post announcing the results from that group at the end of the month! Thanks for your reviews. I’m looking forward to reading your review of The Pendant Path because it’s on my “maybe TBR” list. And then, of course, I’m totally looking forward to your final pick! It is a lot of work, but it’s also really *fun* work, so in a way, sometimes, it doesn’t feel like work? 🙂 Thank you so much!